Deepika Changing Into Comfy Sneakers At Her Reception Is *All Of Us* At Parties! Deepika Padukone and Ranveer Singh finally concluded their wedding festivities with a blockbuster party in Mumbai on Saturday night and dazzled us with their pictures. 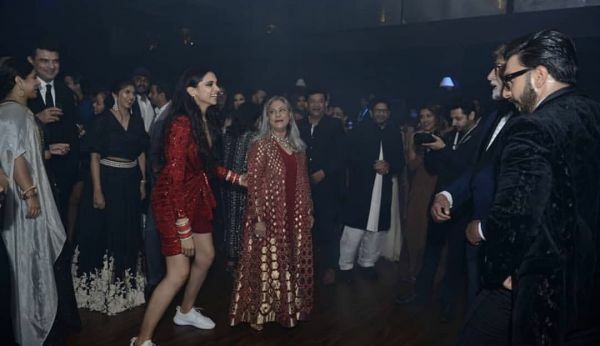 Deepika and Ranveer threw this wedding reception for their friends in Bollywood, the cricket fraternity, and the business world (of course, we mean the Ambani's). 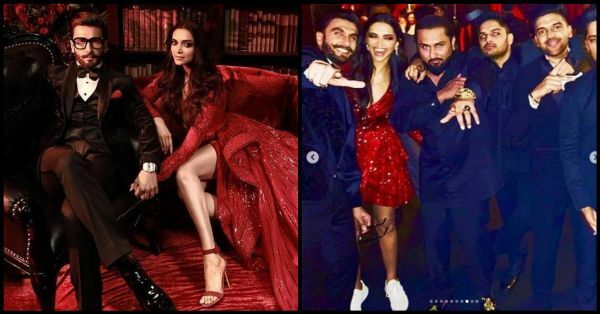 The party was a starry affair with all, well most of our favourite celebrities (read who all didn't make it to DeepVeer's wedding reception and why), dancing in amazing cocktail gowns and outfits. Of course, DeepVeer's looks were as extravagant as we expected. While Ranveer was dressed in a Rohit Gandhi + Rahul Khanna black tuxedo, Deepika wore a Zuhair Murad couture red gown. It was custom-made into a floor-length ensemble for the occasion. The original is a mini wrap dress as you can see on Lily Collins here. But, apparently, DP switched into the mini-version for the after-party, and not just that, she even took off her red hot heels and slipped into a comfy pair of white sneakers proving that the queen is as human as we are. In all her dancing pictures, Deepika is seen in sneakers and her bridal chooda and, let's just say, we have never connected with the actress more. Here are more pics of the practical bride in her comfy best. 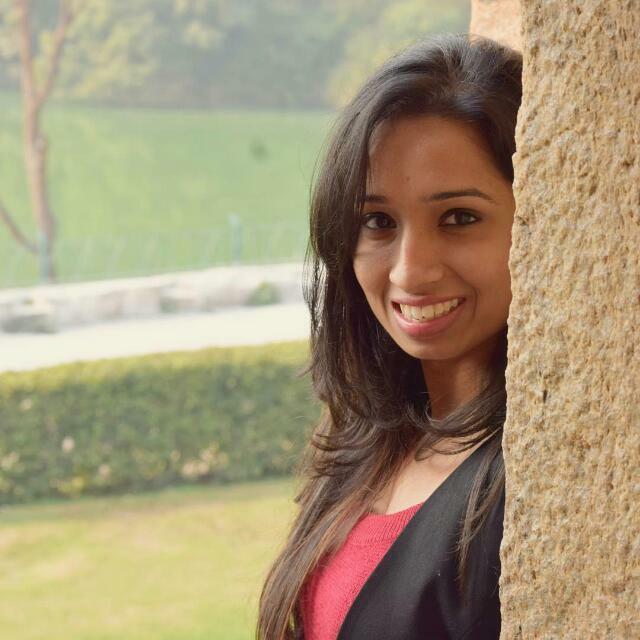 Deepika, we are impressed! Now, after a fairytale wedding and one too many receptions and parties, we wonder what Deepika and Ranveer are up to next.